A firefighter looks out the burnt-out bedroom window after Long Beach firefighters put out the fire in a second-story room in Long Beach, October 29, 2018. Photo by Thomas R Cordova. 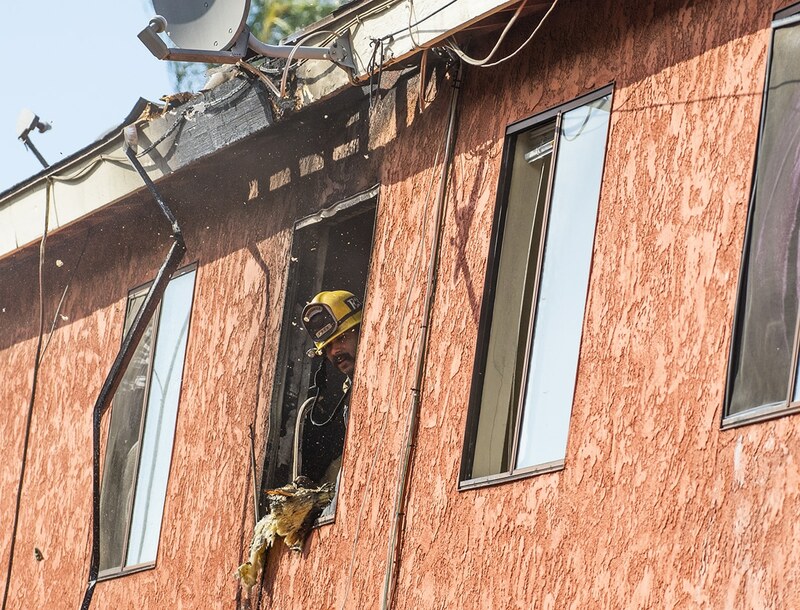 A blaze charred the second story of a small apartment building in Alamitos Beach before firefighters could quickly douse the flames Monday afternoon, according to authorities. 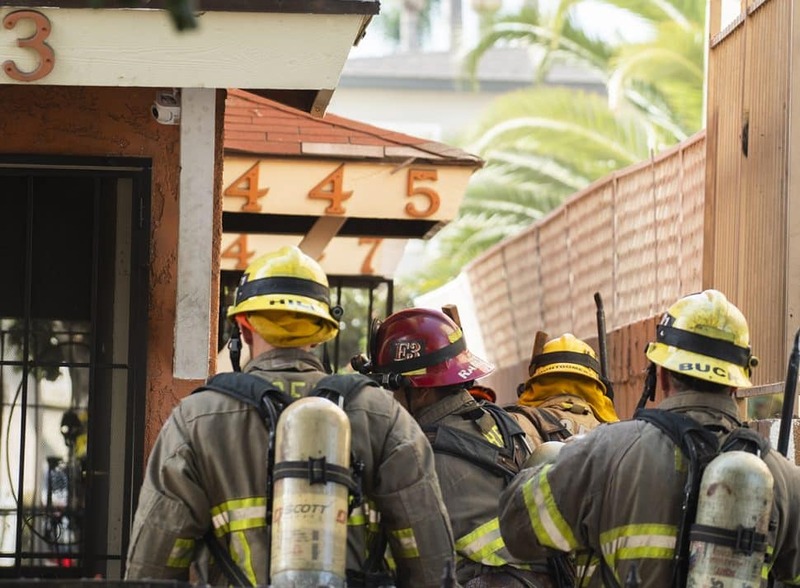 The fire broke out around 2:30 p.m. in a bedroom at the building near Almond Avenue and Fourth Street, Long Beach Fire Department spokesman Capt. Jack Crabtree said. 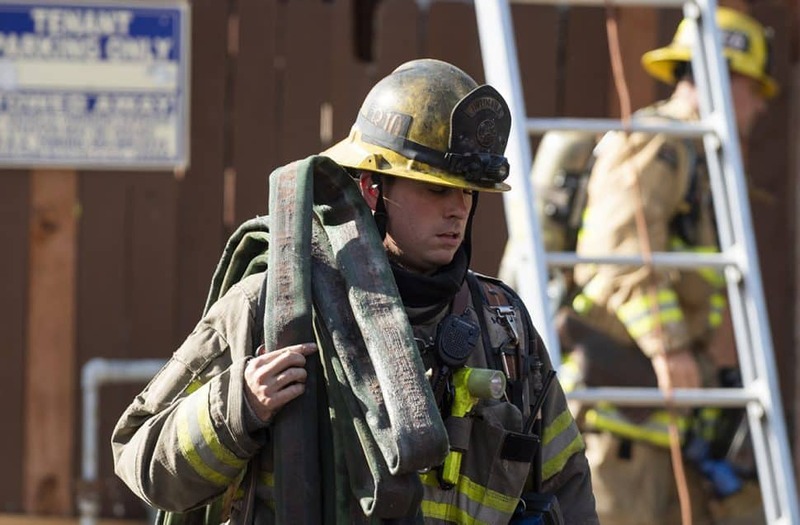 Engines rushed to the scene, contained the flames to the bedroom and had the blaze doused before 2:45 p.m., according to Crabtree. Nobody was hurt. Everyone inside managed to get out safely on their own, Crabtree said, but five people living in the building will have to find somewhere else to stay. 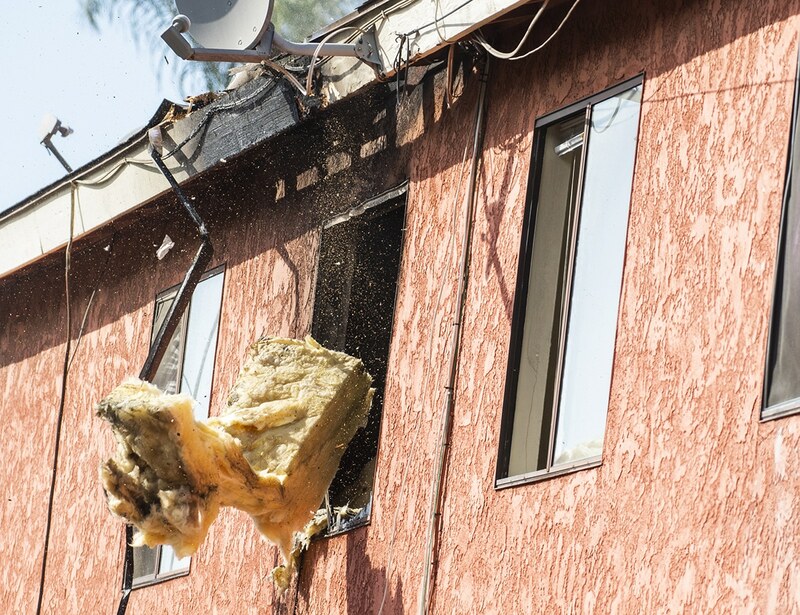 Crews were still assessing the damage and trying to determine the cause of the blaze Monday afternoon. Long Beach firefighters put out the fire quickly in a second-story room in Long Beach October 29, 2018. Photo by Thomas R Cordova. Firefighters enter a home as Long Beach on October 29, 2018. Photo by Thomas R Cordova. 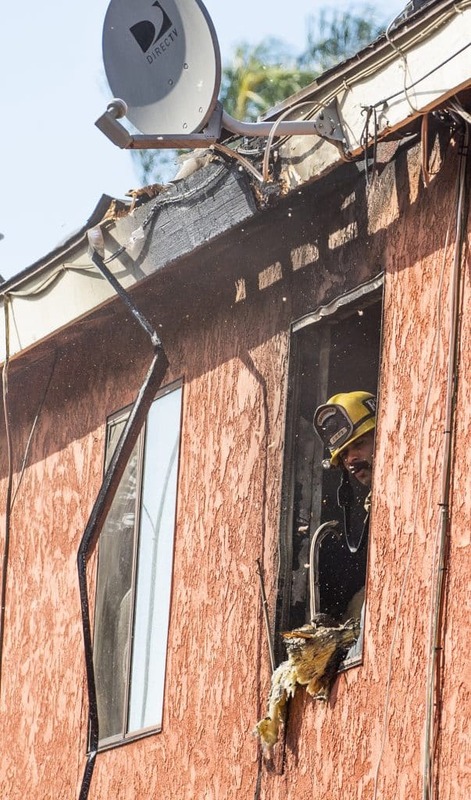 A firefighter looks out of the burnt bedroom window as Long Beach firefighters doused a blaze in Alamitos Beach, October 29, 2018. Photo by Thomas R Cordova. 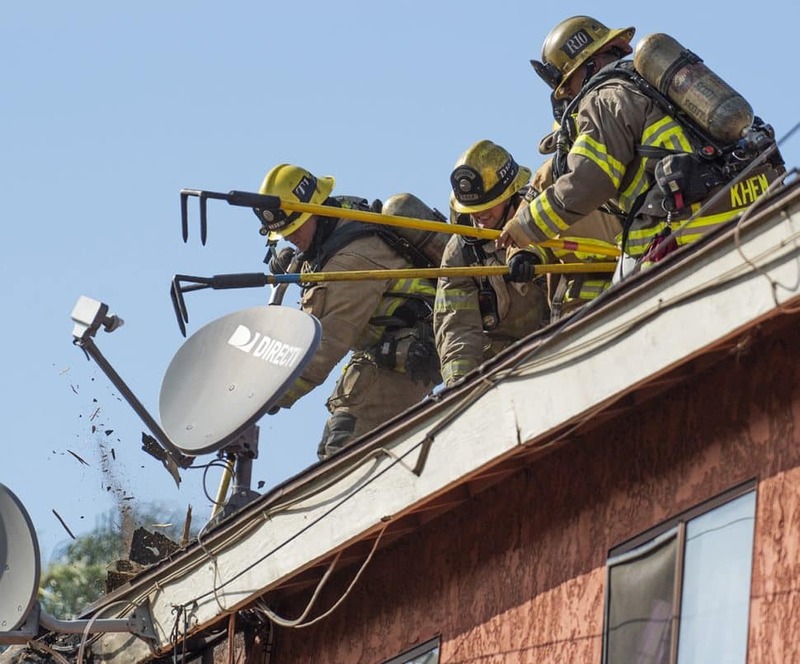 Crews throw out insulation after firefighters put out the fire quickly in second story rooms in Long Beach October 29, 2018. Photo by Thomas R Cordova. 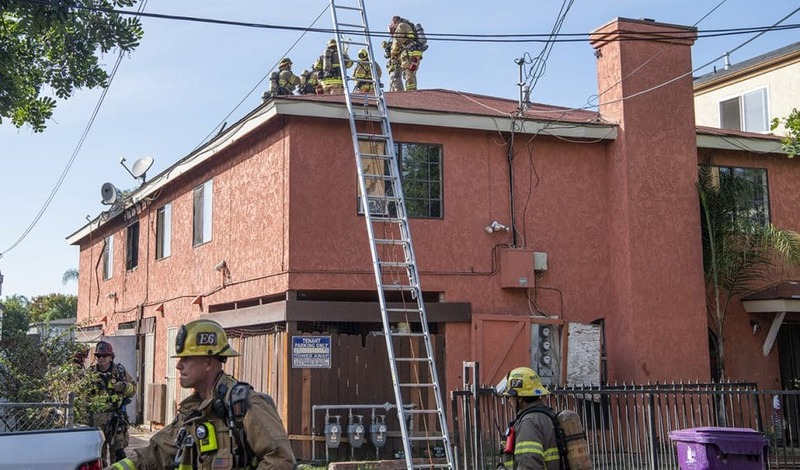 Firefighters work on the roof of an apartment building as they put out a bedroom blaze in Long Beach, October 29, 2018. Photo by Thomas R Cordova. 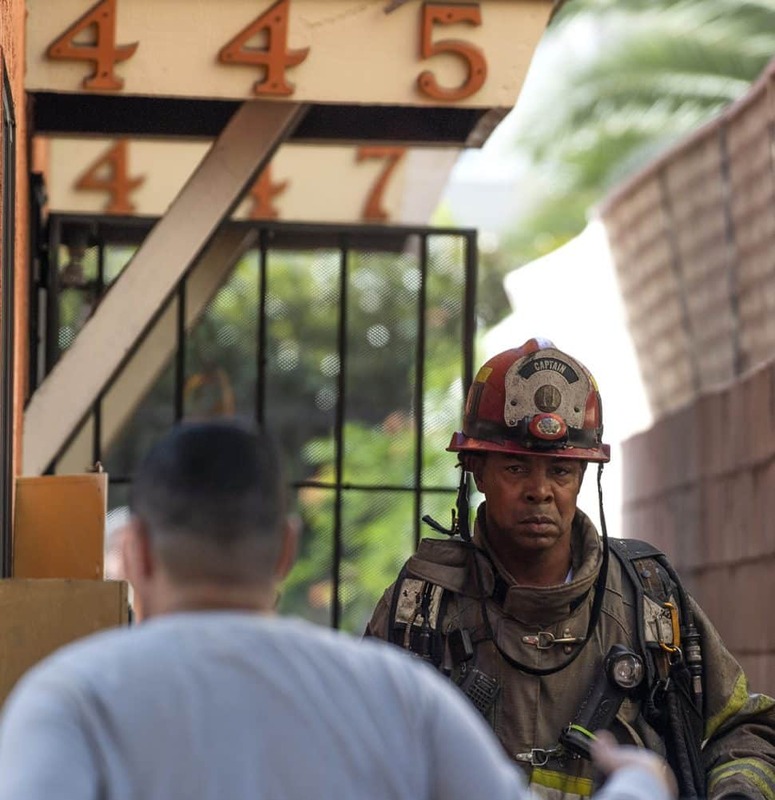 A firefighter carries a water hose out as crews put out the fire in a second story room in Long Beach, October 29, 2018. Photo by Thomas R Cordova. 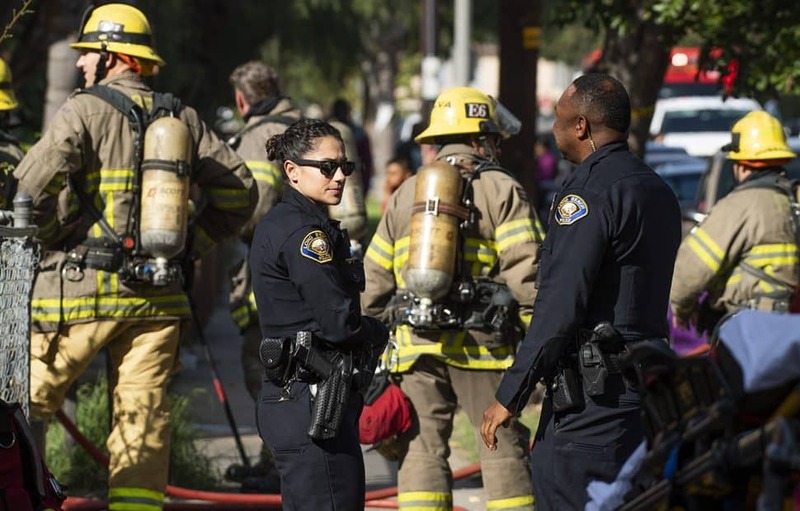 Long Beach firefighters put out the fire quickly after being called to the building near Almond Avenue and Fourth Street in Long Beach, 29, 2018. Photo by Thomas R Cordova.